The odds weren’t in favor of Elizabeth Warren becoming the first female Senator from Massachusetts. 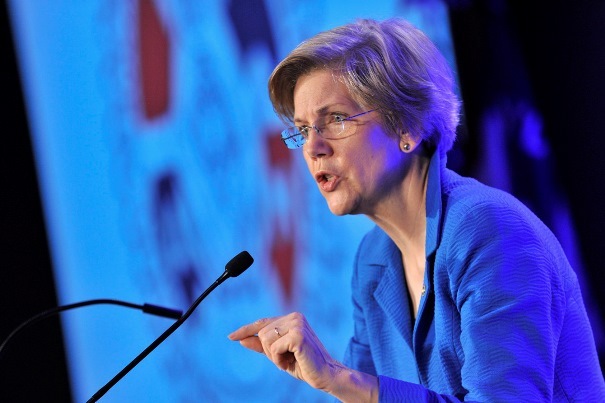 Warren, the daughter of low-income parents who would become the driving force behind the creation of the U.S. Consumer Financial Protection Bureau in 2010, was facing an uphill battle against incumbent Sen. Scott Brown (R-MA). Brown was popular and well-funded – he had a 65 percent approval rating and $10 million in his campaign coffers on the day Warren, a Democrat, declared her candidacy. Warren was a long-time academic with a rising public profile, but had never held public office. Incumbent U.S. Senators have won re-election 87 percent of the time since 1982. Organized labor had Warren’s back, and on November 6, 2012, she beat Brown by 8 percentage points. After only 16 months in the Senate, Warren is already making waves. She became a YouTube sensation at her first Banking Committee hearing, grilling financial regulators on why they hadn’t brought a single Wall Street bank to trial since the Great Recession. She’s introduced legislation to revamp federal student loan programs, restrict risky bank behavior by restoring protections in the Glass-Steagall Act, and prohibit credit checks from being used in employment decisions. She’s one of the strongest advocates in Congress for raising the federal minimum wage and extending emergency unemployment insurance. Warren said she considers labor one of her most resilient partners in getting progressive legislation through Congress. Warren’s allies in the Senate, including Sens. Joe Donnelly (D-IN), Mark Begich (D-AK) and Maria Cantwell (D-WA), echoed her sentiment in speeches to IAM delegates. 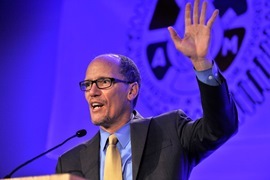 U.S. Labor Secretary Tom Perez, who grew up in Buffalo, NY, said his surrogate father’s union was the only thing that kept his family going as manufacturing jobs evaporated in upstate New York. He touted a recent Bureau of Labor Statistics report that shows union members have median weekly earnings of $200 more than non-union members.